Breaking bird news! The Purple Swamphen (Porphyrio porphyrio) has been added to the ABA Checklist. This action by the ABA Checklist Committee raises to 977 the number of species on the Checklist. ABA Area population of the swamphen. Taxonomy and identification. Intriguingly, multiple taxa—possibly representing multiple species—of swamphens may occur in the ABA Area. In the meantime, I present to The ABA Blog community several topics for discussion. Some of these have the potential to elicit, hmm, divergent opinions. That’s great. Bring it on! The swamphens have been around for a while. Would you count a swamphen you saw a few months ago? A year ago? Ten years ago? Swamphens are on the move. If you saw one in Georgia or South Carolina—presumably derived from the Florida population—would you count it for your Georgia or South Carolina state list, respectively? As I noted above, multiple taxa appear to be present in Florida. 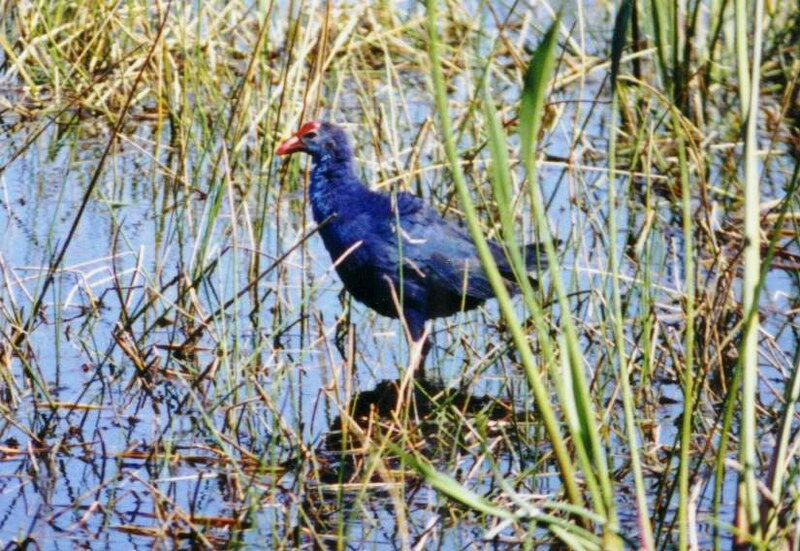 Anybody out there making an effort to ID swamphens beyond the level of “Purple Swamphen”? If so, what are your experiences? Can you share any tips for field ID? What’s up with all these exotics? Common Myna was added to the Checklist in 2008, then Rosy-faced Lovebird and Nanday Parakeet in 2012, and now Purple Swamphen. Any thoughts as to what’s next? Nutmeg Mannikin or Orange Bishop, anybody? Rose-ringed Parakeet perhaps?